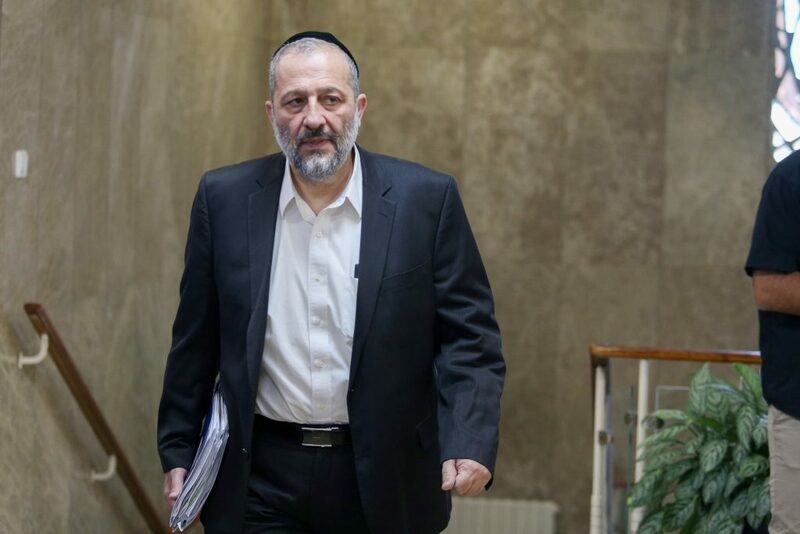 Shas chairman Rabbi Aryeh Deri is set to announce on Monday afternoon that he will resign from the Knesset. Rabbi Deri’s Knesset seat will be taken by Rabbi Michael Malkieli, the next name on the Shas list in the previous elections. Rabbi Deri, however, will remain on as Interior Minister and as Minister for Peripheral Affairs. Rabbi Deri had spoken to associates about the move, Israel Radio said, but had decided not to resign from the Knesset because he felt that his replacement might not be up to the job. He has reconsidered, the report said, after a meeting with Hagaon Harav Shalom Cohen, Nasi of the Moetzet Chachmei HaTorah of Shas. It’s important to note that Rabbi Deri’s resignation does not come in the context of the so-called “Norwegian Law,” which allows Knesset members who become ministers to keep their position even if they resign from the plenum. Each party is allowed to take advantage of this law once during a Knesset term, and Shas had already done so. The resignation is taking place in the context of an addendum to that law, which allows him to remain on as minister, but will prevent him from returning to the Knesset in the event that the government falls.